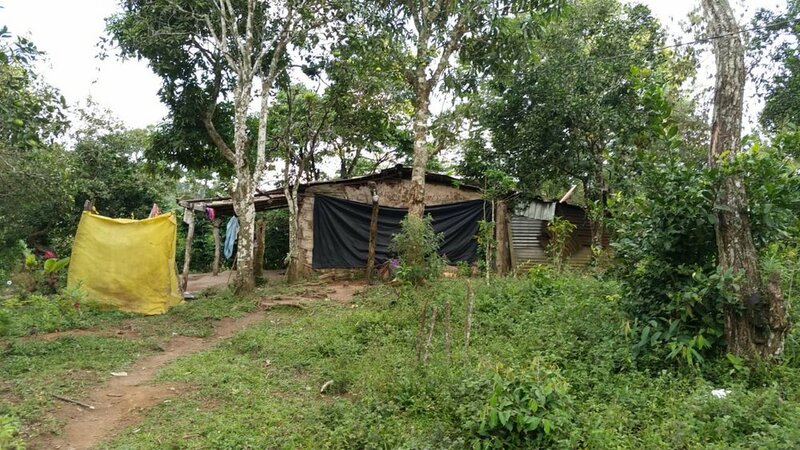 Many coffee harvesting families are living in structures made of mud bricks, logs, scrap wood, pieces of tin, and tarps. At Serve Hope, it's our privilege to help where we can and when we can. We are able to build new homes because of donations from individuals, families, church groups and businesses who see the need and want to help. Would you consider becoming part of our team to build as many new homes as possible? Each home costs only $3,000, but to a family it's priceless. These homes are designed with the family in-mind, providing them a secure, elevated, dry place to live. The entire house is made with local materials. The homes are easily constructed by volunteers from kids to adults. Our simple style home is just perfect for a single family. "To show up in life means we stop just thinking about things and actually do something about them." yOUR DONATIONS PROVIDED FOR A FAMILY IN HONDURAS - THANK YOU ! YOU HELPED US REACH OUR PROJECT GOAL OF $3,000 ! We raised money to build a new home for Alejandrina and her seven children. One of our local churches asked us to get involved and see if there might be a way to help her. She picks coffee for three months and washes clothes for people the rest of the year to provide for herself and her family. They lived in a makeshift house with tarp walls and no access to clean drinking water. Our goal was to raise $3000 for a new home and the need was met!